“The time to repair your roof is when the sun is shining.” In other words, planning and prevention is better than dealing with an emergency – especially when it comes to your roof. You’ve probably heard that you can save a lot of money by proactively maintaining your roof, but remained skeptical without the numbers to back up that statement. Let us “show you the money,” by revealing the results of a 15-year study by Firestone and Prologis, which overwhelming supports proactive roof maintenance. According to data gathered in a 15-year alliance between Firestone Building Products and ProLogis (a provider of distribution facilities), it costs an average of 14 cents per square foot to proactively maintain a roof annually, versus an average of 25 cents per square foot for annual proactive maintenance. For those who don’t like math, that’s a savings of 11 cents per square foot! Furthermore, the study shows that a proactively maintained roofing system has an average life of 21 years compared to 13 years with a reactive maintenance program, depending on the roofing system and building type. Of course, the longer you can extend the life of your roof before replacement, the more your life cycle costs decrease – not to mention the overall savings you’ll incur. Source: Buildings.com, “Commercial Roof Maintenance: A Proactive Approach,” 2012. Let’s say you have a 25,000-square foot roof that you just replaced for $175,000. Using the results of this study, the following table illustrates how the savings can add up: After 21 years, when your proactively maintained roof is ready to be replaced, you will have saved $236,750 or $11,274 per year! And, the savings become exponentially greater over the life of your building. 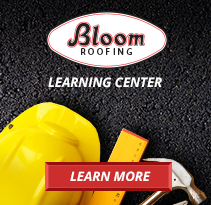 Proactively maintaining your roof offers more benefits than the savings outlined above. Roofs are subject to weather extremes, as well as natural degeneration. Without a proper maintenance plan, severe damage can occur without you even noticing – until it’s too late. Lack of upkeep can result in roof leaks, premature roof failure, structural damage and even a roof collapse. Too often, business owners or facility managers will attempt to save money by putting off regular maintenance and waiting for a problem to occur (i.e., if it’s not leaking, why fix it). Yet, by the time a leak becomes noticeable, which may take days, weeks or even months, a relatively minor issue can escalate into some very expensive problems. In addition, the cost of professional water clean-up and restoration services, along with emergency repairs adds up quickly! Ensure warranty compliance. Most manufacturer’s warranties state “all roofs and roofing systems require periodic maintenance and inspection to perform as designed and keep your Limited Warranty in full force and effect.” To help you comply with the manufacturer’s warranty requirements, it’s recommended that the roof be inspected and maintained at least twice a year (spring and fall) by the original installer to maximize roofing performance and longevity. Maintenance checks should also be conducted immediately after severe storms involving high winds, heavy snowfall, hail and downpours. Provide long-term budgeting for roof replacements by giving you a true picture of the roof’s current state. Isn’t it time to stop chasing leaks around with a 5-gallon bucket and start saving money? Both data and experience show that proactive maintenance costs thousands less than emergency repairs. If you’re looking for ways to cut costs and save money (who isn’t? ), proactive roof maintenance is a great place to start. It’s the best way to extend the life of one of your largest investments, as well as protect assets inside your building.